Dave Jones is the Director of the Climate Risk Initiative at UC Berkeley’s Center for Law, Energy and the Environment (CLEE) and a Distinguished Fellow at the ClimateWorks Foundation. 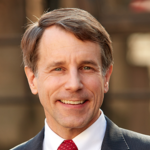 Dave Jones served two terms as California’s Insurance Commissioner from 2011 to 2018. He led the Department of Insurance and was responsible for regulating the largest insurance market in the United States and fifth largest in the world where insurers collect $310 billion a year in premiums and have $5.5 trillion in assets under management. Jones is a national leader on climate risk and insurance regulation. From 2011 to 2018 he led the implementation of the National Association of Insurance Commissioners Climate Risk Disclosure Survey of insurers. In 2016 he launched the Climate Risk Carbon Initiative which required insurers to disclose publicly their investments in coal, oil, gas and utilities. Concluding that there is a significant risk that coal investments will become “stranded assets” as markets and governments move away from burning coal consistent with the Paris Agreement, he asked insurers to divest their investments in coal. He was the first regulator to join the United Nations Environment Program’s Principles for Sustainable Insurance. Jones was the Founding Chairperson of the international Sustainable Insurance Forum which is a network of insurance regulators from around the globe who are developing and sharing supervisory practices related to climate risk and insurance sustainability. Jones was one of the first financial regulators to endorse the recommendations of the G20 Financial Stability Board’s Task Force on Climate Related Financial Disclosures. In 2018 Jones led the California Department of Insurance in undertaking a “2 Degree scenario analysis” of the transition and physical risks facing the top 600 insurers’ investment portfolios, with the assistance of the 2-Degrees Investing Initiative. Prior to serving as Insurance Commissioner, Jones served in the California State Assembly (2004-2010).